A session fishing at Blackwall Basin will give you an alternative day out in one of London’s iconic places, the Isle of Dogs. Blackwall Basin was originally used as the entrance to the 3 main docks for ships arriving from the Thames. The docks were closed in 1980 as the Canary Wharf development began. In Blackwall Basin you will find a wide range of different coarse fish. 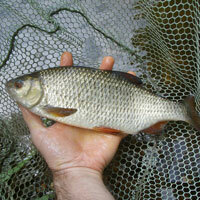 There is an abundance of natural food in the venue, so more traditional baits are likely to work here. Address: Westferry Road to Manchester Road, Isle of Dogs, London, E14 5SF.